The Ford Edge is a remarkable vehicle with an array of features that are sure to provide everyone with a reason to love the new 2019 model. There are so many great reasons to make the 2019 Ford Edge your next vehicle. For example, it comes equipped with some of the latest and greatest features that will make your life easier and more enjoyable. For instance, the 2019 Ford Edge has a 2.7-liter twin-turbocharged EcoBoost V6 engine. This engine makes 355 horsepower and 380 lb-ft torque, which is impressive for a vehicle of its size. Largely, the 2019 Ford Edge is a powerful, yet compact, Crossover SUV. The 2019 Ford Edge definitely takes the SUV name to the next level with the “Sport Mode.” This mode will sharpen up the throttle response and will create sporty engine noises into the cabin. The best part about the “Sport Mode” is the fact that it changes the way that the transmission functions, which will allow for more aggressive shifting. If you want to use the paddle shifters for manual gear selection, you can also do that. Another great feature that is included in the 2019 Ford Edge is the Adaptive Cruise Control with Lane Centering. This ensures that you are able to travel to your destination on the highway safely. The Lane Centering feature detects the lane markings and will alert you when you begin to deviate from the center of the lane. Due to the functionality of this feature, you can spend more time enjoying the journey and keeping your eyes on the road. Overall, the 2019 Ford Edge has an impressive combination of modes, features, and specs that will be sure to catch the eye of any driver or passerby. The fact that this vehicle is as spacious as it is safe ensures that it is a crowd favorite. There is a plethora of room that can be used for a variety of purposes. The 2019 Ford Edge may end up being the new-and-improved, crowd favorite SUV because it’s spacious, sporty, stylish, and safe. The 2019 Ford Edge includes plenty of space for whatever it is you’ll be carrying. Whether you have a family who needs a little bit more “elbow room” on your next family vacation, or you drive for Uber or Lyft and are seeking positive reviews about your vehicle, the 2019 Ford Edge will be able to help. If there was ever a vehicle that truly exceeded all preconceived expectations, it is certainly the 2019 Ford Edge. Performance is an important aspect of a vehicle for any car-buyer to consider, especially if you’re looking to tow cargo or carry large loads. Additionally, you’ll want a powerful engine to see you through the difficult terrain that you may encounter in many places throughout your travels. The 2019 Ford Edge has a 2.7L V6 EcoBoost engine which delivers 335 horsepower and 380 pound-feet of torque. This makes this engine powerful and versatile, which is perfect for the average American. The transmission on the 2019 Ford Edge is an eight-speed, and the drivetrain on the Ford Edge is Front Wheel Drive. Whether you’re planning to use this vehicle for work or play, you’ll find the features that you need in order to be successful at whatever it is that you choose to do. Along with incredible and never-before-seen safety features, this vehicle has unmatched power for a vehicle of its size. The performance specs truly make the 2019 Ford Edge stand out. 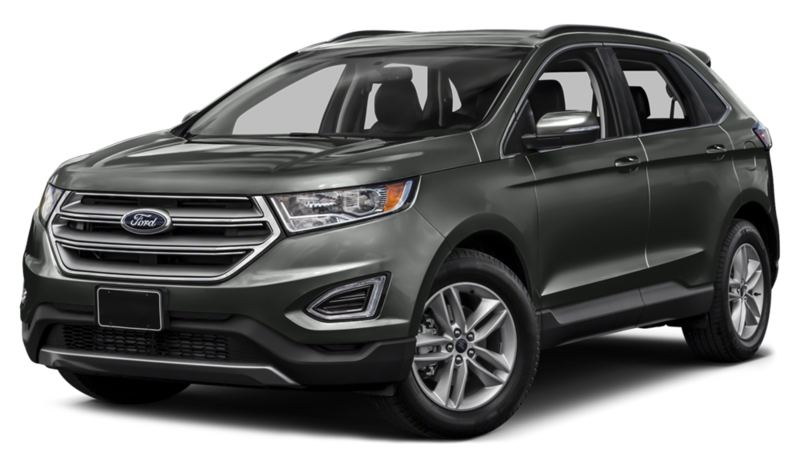 The fuel tank capacity for the Ford Edge is 18 gallons (approximately). This is a huge tank that will require fewer fill-ups on your next road trip. Nobody likes to spend time at the gas pump, and the 2019 Ford Edge ensures that you’ll have to do that task less. Furthermore, the trailering capacities are impressive. The maximum trailering capacity for the Ford Edge is 1,500 pounds. If you’re looking for a vehicle that will be able to tow even the toughest of loads, but you’re not quite sold on the sheer size of a truck, the Ford Edge may be an excellent compromise. The Ford Edge is definitely a vehicle for individuals and families who are active and need a surplus of space. With incredible safety features and competitive performance stats, the 2019 Ford Edge is a “must-have” vehicle for your next purchase. The 2019 Ford Edge will be the first vehicle with the new Ford Co-Pilot 360 technology. The purpose of the Co-Pilot 360 is to help customers drive more safely and confidently in the midst of traffic congestion and distractions. One incredible feature of the Co-Pilot 360 is the automatic emergency braking that will be standard on most Ford models in the future. The Co-Pilot 360 also includes adaptive cruise control (with stop and go and lane centering), evasive steering assist, and post-collision braking. Additionally, there is a feature that includes reverse brake assist with AEB, which will help prevent drivers from hitting an object while traveling in reverse. The Co-Pilot 360 technology is sure to change the driving game forever. The fact that the 2019 Ford Edge will be the first vehicle with this technology makes it desirable and has created a lot of buzz. Undoubtedly, the Co-Pilot 360 is desirable and functional and will be sure to prevent collisions and help drivers travel safer. This technology is comprehensive and covers a lot of different potential safety risks and incidents. For example, the Ford Co-Pilot 360 comes with Pre-Collision Assist with Pedestrian Detection. This feature helps the vehicle come to a stop safely should a vehicle or pedestrian come into its path of travel. If a potential collision is detected, the car will sound an alarm with warning flashes to alert the driver to the hazard. If the driver’s reaction isn’t sufficient, the system will automatically apply the brakes to minimize a frontal collision. Due to the fact that this technology is new, Ford is going to continue to add driver-assist technologies as they are tested and manufactured. 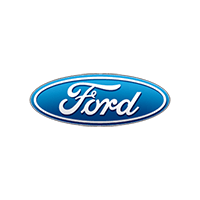 Ford is also going to invest $500 million in the next five years to this cause. Kings Ford is the only place to shop for a new or used vehicle if you live in the Cincinnati area. There is a wide variety of vehicles that are in stock and ready to purchase. The two aspects of our business that we focus on and pride ourselves on are: being able to offer competitive pricing and having exemplary customer service. 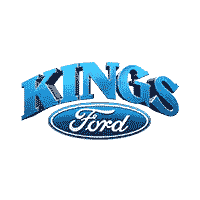 If you’re in the market for a new or used vehicle, you’ll want to come see what King’s Ford can do for you. We pride ourselves on being able to offer local specials on vehicles to get you into the car of your dreams. We also work with you when it comes to financing the vehicle that you want. We offer a variety of payment options and plans that will take some of the stress out of the car-buying experience. As far as customer service goes, we like to make sure that the customer leaves with a satisfactory experience. Purchasing a car can be stressful and overwhelming at times. If they are able to make the experience easier or more enjoyable, they are always happy to do so. Kings Ford is open Monday through Friday from 9:00 AM to 8:00 PM, Saturdays from 10:00 AM to 6:00 PM, and Sundays from 12:00 PM to 5:00 PM. The hours are extensive which means that you can easily come in before or after work, or on the weekend to find the car of your dreams. We are conveniently located in Cincinnati, Ohio. If you’re a local and you haven’t checked out the extensive inventory available at Kings Ford, what are you waiting for?